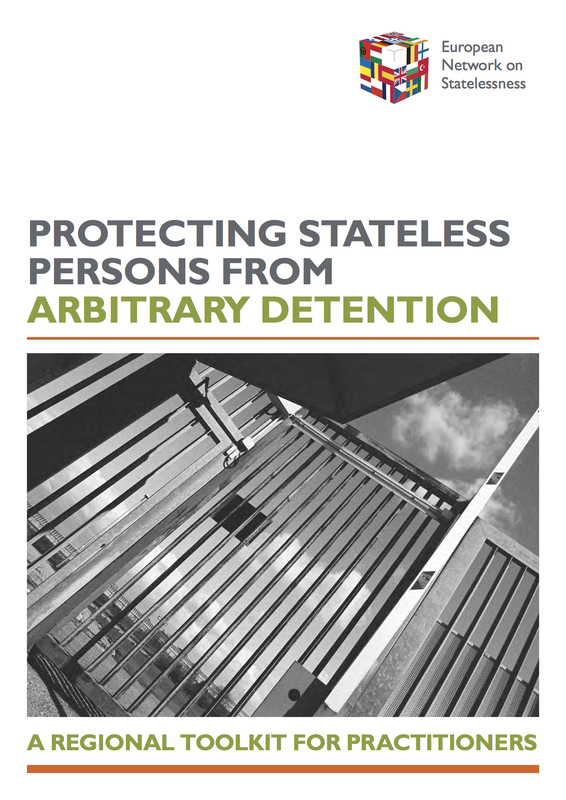 A report published today (4 May) by the European Network on Statelessness (ENS) on the use of immigration detention warns that stateless people are often detained for months and even years, without any real prospect of their cases being resolved. This is because immigration systems do not have appropriate procedures in place to identify those who are left without nationality and to protect stateless people. The report calls on European governments to reform their immigration and detention systems to comply with their international human rights obligations and end the arbitrary detention of stateless people. States need to put in place procedures to identify people without nationality so that they don’t end up locked up in limbo. “Across Europe a failure by states to put in place effective systems to identify stateless people leaves them exposed to repeated and prolonged detention. These men, women and children fall between the cracks, because no country will recognise them as nationals. “Stateless persons across Europe risk serious violations of their right to liberty and security of person. They can face repeated and prolonged detention not because they committed a crime but because they are not allowed to stay in the country. A statement signed by civil society organisations and leading lawyers and academics from over 30 European countries will be sent to governments highlighting that consensus is building in Europe that the current use of immigration detention is unsustainable, harmful, and, in many cases, unlawful. Angela is an ethnic Armenian from Azerbaijan. She fled to the Netherlands seeking asylum with her family in her early teens, but they were refused protection. Countless efforts to obtain new travel documents failed and both Armenia and Azerbaijan refused to facilitate their return. Angela was detained in 2012 during an attempt to forcibly remove her family, which had a huge emotional impact on her. A court ruled her detention unlawful and suspended forced return, but this did not end her limbo. Anton is a stateless person from the former Soviet Union who was held in immigration detention in Bulgaria from 2005 to 2012. During this time, he was told he would be forcibly removed, but was never given any details about how and when. Anton remained in detention for seven years because the only alternative to detention in Bulgarian law could not be applied as he had no registered address. He was finally released after an intervention by the UN and now lives as an undocumented migrant. Muhammed is a Sahrawi in his late thirties who came to the UK as a minor. He was refused asylum and has been detained several times for a total of nearly four of the last eighteen years. His statelessness application was refused because he has a past criminal offence. Muhammed suffers from mental health issues. In 2015-2016, he spent fifteen months in detention despite the authorities accepting that he was Sahrawi and therefore had no prospects of removal. Okeke is in his thirties and has always lived in the UK. He was probably born there although he has no birth certificate. He believes that his parents are British but he lost contact with them as a teenager after fleeing years of domestic abuse. Okeke has faced a life of destitution and isolation due to his lack of documents and the abuse he suffered as a child. After a criminal conviction for theft, he was sent to immigration detention subject to a deportation order. Despite being classified as a person of ‘unknown nationality’, the UK attempted to deport him to Nigeria on the basis that he has a Nigerian name. The European Network on Statelessness (ENS) is a civil society alliance with over 100 members in 40 countries. It is committed to ending statelessness and ensuring that the estimated 600,000 people living in Europe without a nationality are protected under international law. ENS has prepared a statement signed by over 65 civil society organisations, academic and leading legal experts working on the issue. The statement will be sent to government representatives and other main stakeholders across Europe to highlight the agenda for change on how to solve the issue of arbitrary detention. ENS is undertaking a 3 year project aimed at better understanding the extent and consequences of the detention of stateless persons in Europe, and advocating for an end to arbitrary detention of stateless people. On 4-5 May 2017, the European Network on Statelessness will hold a major conference in Budapest to launch a new comparative report as well as to provide a platform for concerted region-wide advocacy aimed at protecting stateless persons from arbitrary detention. The conference is intended to facilitate the sharing of information among stakeholders from across Europe – including lawyers, NGOs and academics as well as representatives from governments, inter-governmental-organisations, ombudspersons/monitoring bodies and other stakeholders mandated to work on issues related to immigration detention. aditus foundation is a member of the European Network on Statelessness, having also researched and drafted the report on the risk of arbitrary detention for stateless persons in Malta. Our Director will be attending the conference, moderating one of the workshops. You can find out more about the event and register online here. Registration deadline is 15 March. On 30 November, the European Network on Statelessness launched a new regional toolkit ‘Protecting Stateless Persons from Arbitrary Detention‘ online and at an event in London. The toolkit is intended as a call to action to all stakeholders to help hold government to account by insisting that they comply with their international human rights obligations that would prevent this practice. The lack of protection on the one hand and the growth of the immigration detention industry on the other have left many persons currently residing in Europe vulnerable to arbitrary detention. Evidence shows that in many countries holding stateless migrants in detention for long periods – sometimes indefinitely – is a disturbing trend in Europe. Because there is no country to return the person to, once detained, the detention is likely to be arbitrary, repeated and prolonged leaving people in limbo and exposed to the emotional and psychological stress of lengthy detention. The failure of immigration regimes to deal with the phenomenon of statelessness, identify stateless persons and ensure they don’t discriminate against them often results in detention. Yet stateless person are seldom recognised as victims of injustice and often are unfairly labelled as refusing to cooperate with the state. The toolkit ‘Protecting Stateless Persons from Arbitrary Detention‘ is intended as a resource for all those who come into contact with stateless persons – including lawyers, NGOs and stateless detainees themselves, as well as legislators/policy makers and officials or judges responsible for reviewing immigration detention. Information is categorised by issue and by type of resource/jurisdiction (UN, Council of Europe and EU) – all of which are hyperlinked, along with easy to use checklists for practitioners. This news item is being shared as part of our participation in this on-going project. More information on the Malta elements can be read here and here. For the launch of our report on stateless and arbitrary detention in Malta, published jointly with the European Network on Statelessness (ENS), our Director contributed a guest post on the ENS site. The post can be read here. 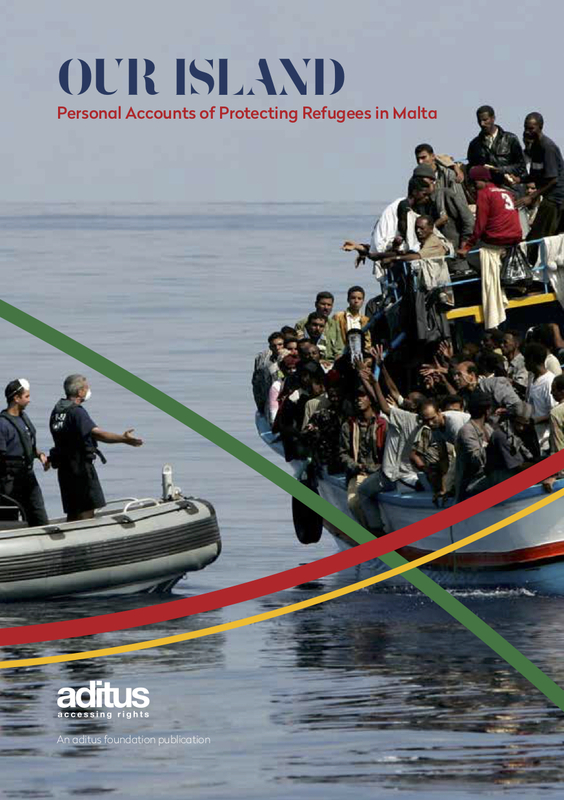 A new report published today by the European Network on Statelessness and aditus foundation on the use of detention of stateless persons in Malta, reveals that the widespread use of administrative detention has a severe impact on stateless persons. The absence of procedures to identify and recognize statelessness results in detention that in many cases is not in conformity with Malta’s human rights obligations. Furthermore, stateless persons are unable to receive any form of legal and social protection since their status remains largely unidentified. The report is nonetheless optimistic that up-coming changes to Malta’s detention regime, as also possible steps towards the 1954 Stateless Convention, could result in dramatic changes to the way stateless persons are treated. The report confirms the urgency for Malta to revise its detention regime. It also stresses that the absence of any procedure to identify stateless persons results, in many cases, in their unlawful detention and their lack of social and legal protection. Nonetheless, despite the shortcomings identified in the report, we are looking forward to Malta’s announced plans to revise its detention regime and to consider approaching the 1954 Convention. The report is the most recent in a series of publications forming part of a Europe wide research and advocacy effort by the European Network on Statelessness to investigate the law, policy and practice related to the detention of stateless persons. Detention of stateless persons is a concerning trend across Europe and is happening despite the fact that protection against arbitrary detention is well entrenched under international and regional law. ENS is committed to raising awareness and finding durable solutions and is, in addition to country research reports, publishing a regional toolkit for practitioners on protecting stateless persons from arbitrary detention on 30 November at an event in London. This new report shows that we are dealing with a small-scale issue which can be addressed quickly and effectively by establishing a dedicated statelessness determination procedure. As a first step, Malta should follow the example of other European countries and accede to the two UN conventions on Stateless Persons and on the Reduction of Statelessness, which would provide the legal framework for reducing statelessness and protecting those who find themselves stateless. We are optimistic that the Government will continue working with civil society organisations and engage in a constructive discussion to find ways to improve legislation and policy through the recommendations made in this report. [su_box title=”Download the Report” style=”soft” box_color=”#2ab4f1″ title_color=”#ffffff”]This publication is being launched in the context of the on-going project entitled ‘Protecting Stateless Persons from Arbitrary Detention’. aditus foundation is a Maltese human rights organization working to monitor, report and act on access to human rights in Malta. Its main activities involve advocating, through research, campaigns and public awareness, for laws and policies that fulfil Malta international and regional human rights obligations, whilst also offering legal information advice through its Pro Bono Unit. The European Network on Statelessness (ENS) is a civil society alliance with 103 members in 39 countries. It is committed to ending statelessness and ensuring that the estimated 600,000 people living in Europe without a nationality are protected under international law. ENS is undertaking a 3 year project aimed at better understanding the extent and consequences of the detention of stateless persons in Europe, and advocating for protecting stateless persons from arbitrary detention through the application of regional and international standards. The project will deliver a series of country reports (including the report on Malta published today) investigating the law, policy and practice related to the detention of stateless persons in selected European countries and its impact on stateless persons and those who are ‘unreturnable’ and therefore often at risk of statelessness.